Thanks to the increasingly sophisticated tastes of clients and consumers, it’s becoming harder to discern a distinct boundary between residential and commercial furnishings. These tables, chairs, benches, and stools attest to the success of such stylistic crossovers. 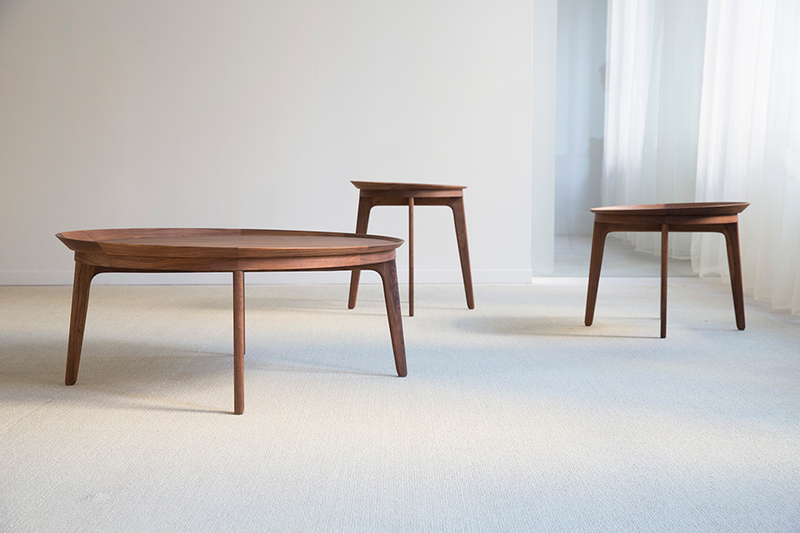 This collection of beautifully crafted tables takes inspiration from the lush landscapes and natural elements of the Andes Mountain Range. 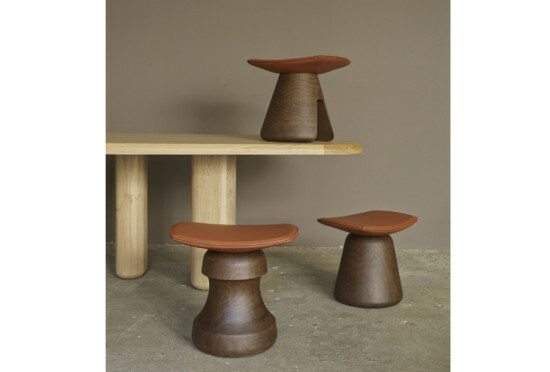 Nature and modern design take shape in the solid walnut Los Andes collection, with the raised rim mimicking the peaks and plateaus of the rugged mountains in Chile. Designed by Ignacia Murtagh. This curvy, cushiony settee could anchor a cocktail lounge or a living room with equal aplomb. 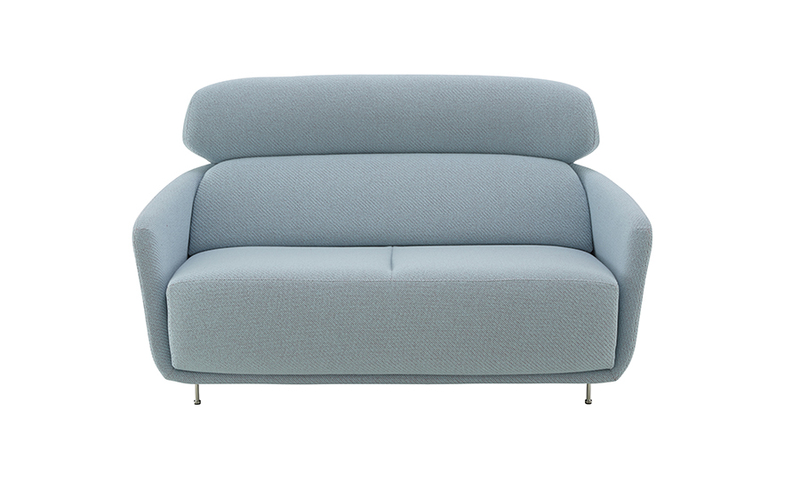 The collection includes a footrest, armchair, and medium and large settees, available with a high or low backrest. The base is offered in chromed or lacquered steel. Designed by Eric Jourdan. In their expression of pure geometry, the Polygon Table series provides an elegant solution to the need for all manner of surfaces, at home, the office, and elsewhere. 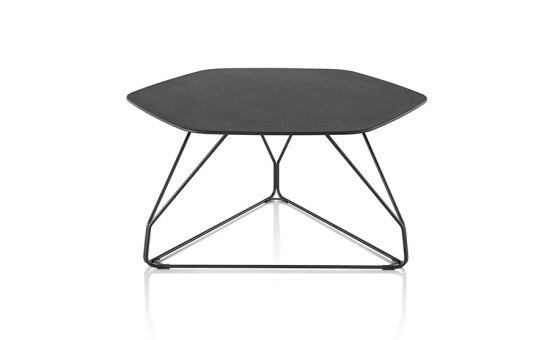 The structure of the table’s wire base yields a dual advantage: a symmetry of form that uses minimal material for maximum strength and a logical method for scaling up or down in size and height to accommodate various dimensions of round, triangle, and hexagon tops of painted Formcoat. By unifying the color of base and top—in a choice of black, white, or gray/graphite—a single table has a subtle appearance, and a gathering of tables, nested or stacked, create an organic composition. Each shape is available in three sizes and heights. Designed by Studio 7.5. The three stools, each subtly different, feature a French walnut varnished base and a leather seat. Designed by Christophe Delcourt. 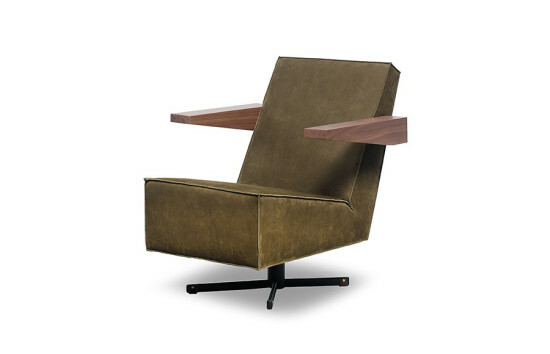 In 1958, the Dutch government commissioned famed architect and designer Gerrit Rietveld to design a chair for the press room of the new UNESCO building in Paris. Rietveld was part of an elite group of designers who had been tapped to collaborate on the new building, including Hans J. Wegner, Le Corbusier, Walter Gropius, and Marcel Breuer. Rietveld’s chair was meant as a comfortable lounge chair for the low reading table for journalists. However, due to budget limitations, Rietveld’s new chair was never produced—but the original design drawings and scale models were preserved, and the chair has been launched for the first time in 2015 exactly as Rietveld had envisioned it. On the underside of each chair is a poem by Christian Morgenstern entitled “The Aesthete,” one that Rietveld sometimes printed underneath his designs, reflecting his opinion that a chair was not meant to rest, so it didn’t need the comfort of a bed. With solid oak or walnut armrests. Available in 18 fabric options and 9 leather options. Designed by Gerrit Reitveld. 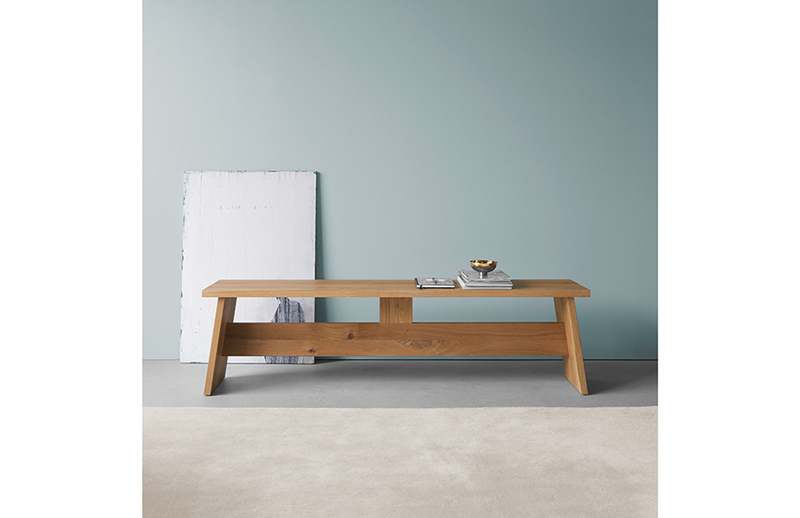 This new product family consisting of a solid wood table, bench, and stool emphasizes the pure use of material and a clear design language. In addition to European walnut and solid oak in oiled or white pigmented finishes, the collection is also offered in black, highlighting the elegant silhouette. Designed by David Chipperfield.